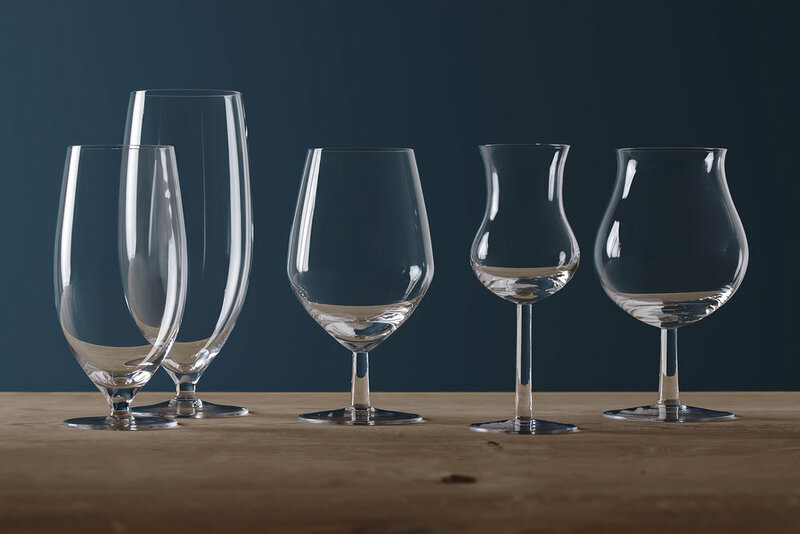 Brygg is a beer and aquavit stemware series for Magnor Glassverk. It is developed in collaboration with experts from Arcus Distillery, St. Hallvard's Brewery and Sentralen Restaurant. Brygg is Norwegian for “brew” and is designed and developed to accompany high quality beer and aquavit. 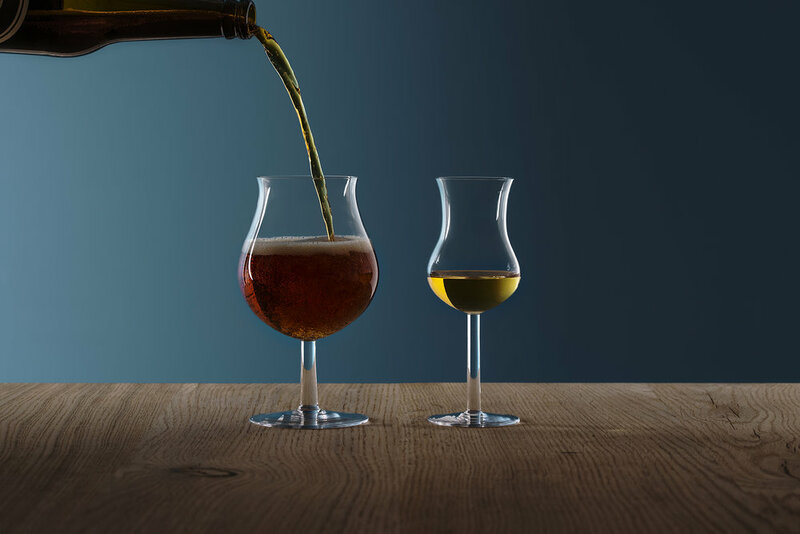 The Brygg series consists of five handmade and mouth blown glasses designed specifically for the most popular beer and aquavit in Norway. The glasses have an elegant stem that provides a good grip while maintaining the right temperature of the beer. The shape of the stem is pointing upward towards the bowl and its content. The bowls are carefully designed to enhance the character of different beers; from the light and refreshing to the dark and aromatic. The result is a glass series that enhances aroma and flavour in addition to showcasing the beer and aquavits pleasing visual qualities. The glasses are mouth blown and handmade by glassblowers with extensive experience. 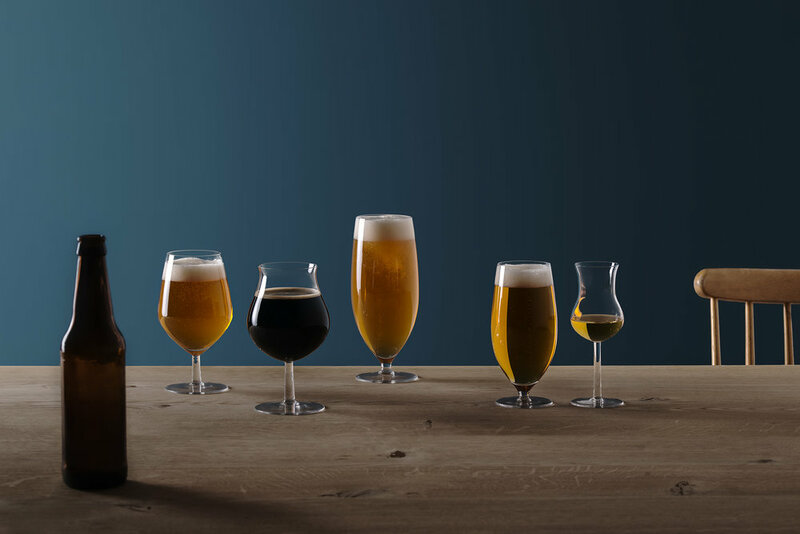 Brygg is dishwasher safe and consists of the following five glasses; Oppland (aquavit) 4 cl, Fyldig (rich) 33cl, IPA 33cl, Pils 33cl and Wheat 50cl. The series was launched during Oslo Design Fair in September 2016. For further inquires and prices please contact Magnor directly.